Our research works aim to achieve necessary fundamental knowledge, technology and commercial prototypes for the Thai industrial sectors. We also carried out in-house research to establish knowledge and continually develop R&D staff skills. 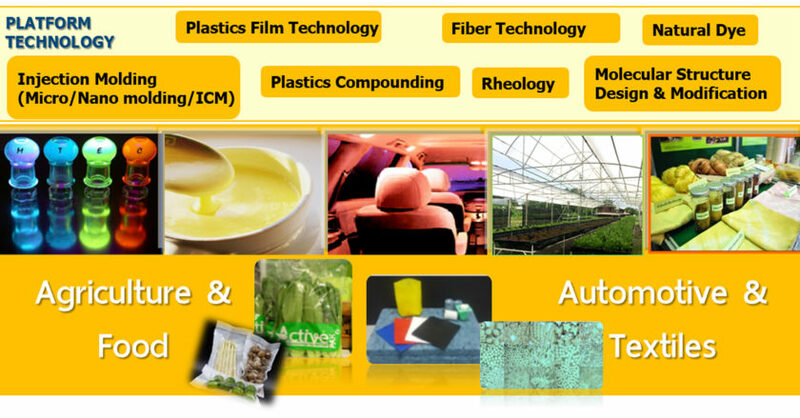 Our current research focuses are synthesis of functional polymers and organic materials, development of functional ﬁlms and plastic products, and biodegradable plastic processing. Moreover, numerous developments and designs of special ﬁber & nonwoven structures and natural dyes have been achieved; and applications of rheology in food structure design are now being extensively explored.